WEST LAFAYETTE, Ind. – Indiana’s average air temperatures are expected to rise by as much as 6 degrees Fahrenheit by mid-century, warming and reducing wintertime ice cover on the state’s lakes, streams, and rivers. At the same time, increases in winter and spring rainfall will likely wash more nutrients from farm fields into those water bodies, adding significant challenges to already fragile ecosystems. Those are some of the key points in “Aquatic Ecosystems in a Shifting Indiana Climate,” the latest report from the Purdue University-based Indiana Climate Change Impacts Assessment, released during a community briefing Sept. 12 at Bass Pro Shops in Portage, Indiana. Rising water temperatures will likely shift stratification – the layering of water at different depths in lakes. That may improve or increase habitat for the state’s warm water fish. However, those rising temperatures and increasing spring rain totals will send more nutrients from farm fields into nearby waters. That combination is problematic for many coldwater species, such as cisco, a native fish that used to exist in about 50 of the state’s lakes but has already suffered from rising temperatures. Changing precipitation patterns could also negatively impact Indiana’s already-endangered freshwater mussels, with different effects across seasons. Drier summers will likely reduce water levels in streams where the mussels live, exposing them to intolerable conditions. In the spring increased stream flows could dislodge mussels from their habitats in rivers. 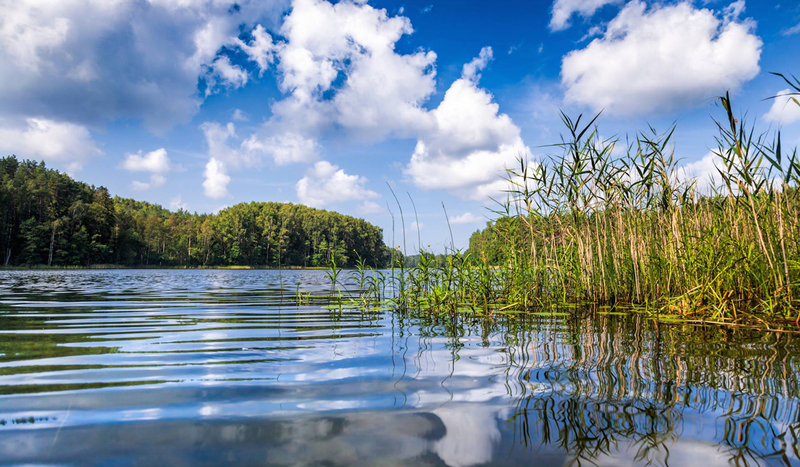 Wetlands may stay wet longer in the spring and dry more than usual during the summer, altering ecosystems that depend on critical seasonal timing. Some plants and animals adapted to Indiana’s current climate may not thrive here in the coming decades. In Lake Michigan, where near-surface temperatures have already warmed by 3 degrees Fahrenheit since 1980, temperature changes could lead some coldwater fishes, such as salmon, trout and lake whitefish, to move further offshore to deeper waters. As a result, they may spend less time in the Indiana waters of Lake Michigan, which are relatively shallow and warm. The lake’s warmer temperatures could also affect growth, spawning or reproductive processes for many valuable commercial and sport fish species. Höök suggests those tasked with managing Indiana’s aquatic ecosystems focus on maintaining or increasing both genetic and habitat diversity. Carolyn Foley, research coordinator for Illinois-Indiana Sea Grant and a co-author on the report, suggests that people all over the state have the ability to help work on the issue, from researchers to everyday people. The Indiana Climate Change Impacts Assessment (IN CCIA) is compiling the latest scientific research into a series of easily understandable reports about climate change impacts in 10 topic areas: climate, health, forest ecosystems, aquatic ecosystems, urban green infrastructure, tourism and recreation, agriculture, water resources, energy, and infrastructure. The assessment team consists of more than 100 experts from Purdue and other Indiana institutions. The IN CCIA has now released six reports. All are available on the IN CCIA website at http://indianaclimate.org/. For more information about the IN CCIA, go to the website or follow on social media at @PurdueCCRC, #ClimateChange, #INCCIA.